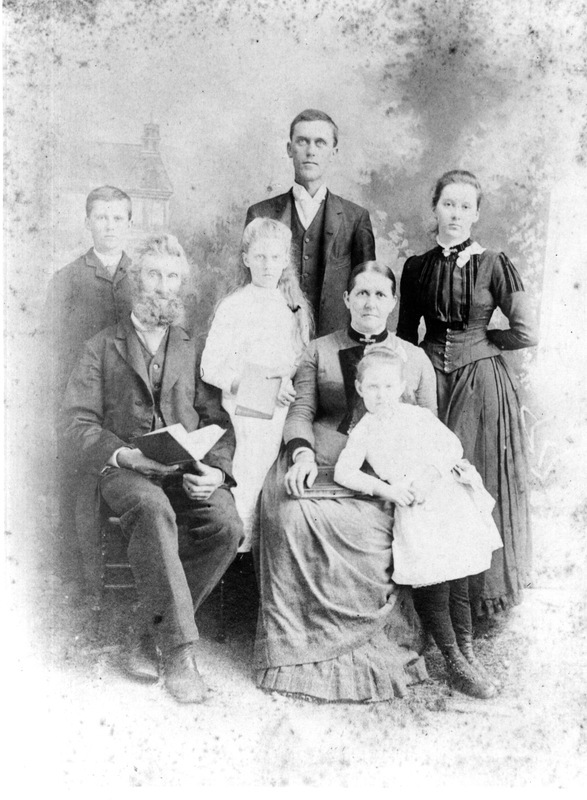 This is a portrait of The Peabody Family. 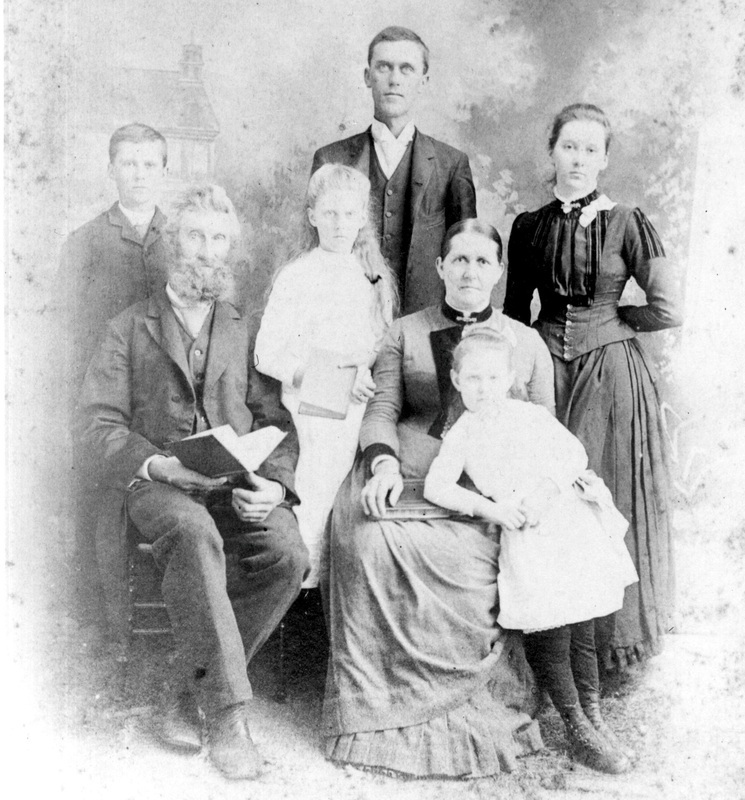 The photo includes, Sheffield, Mary Marilla, George L., Mary Emma, Starr W., Martha Ellen, and Helen Esther. Birthdays of each Peabody are recorded above the picture. Sheffield Winslow Peabody Diaries and Family Documents, 1849-1914. Genesee Valley Historical Collection, Milne Library, SUNY Geneseo. 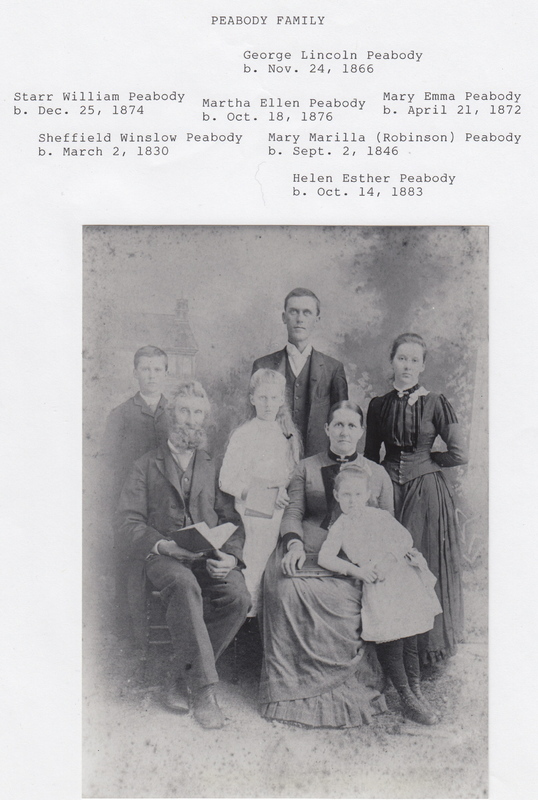 “The Peabody Family,” OpenValley, accessed April 25, 2019, https://openvalley.org/items/show/118.